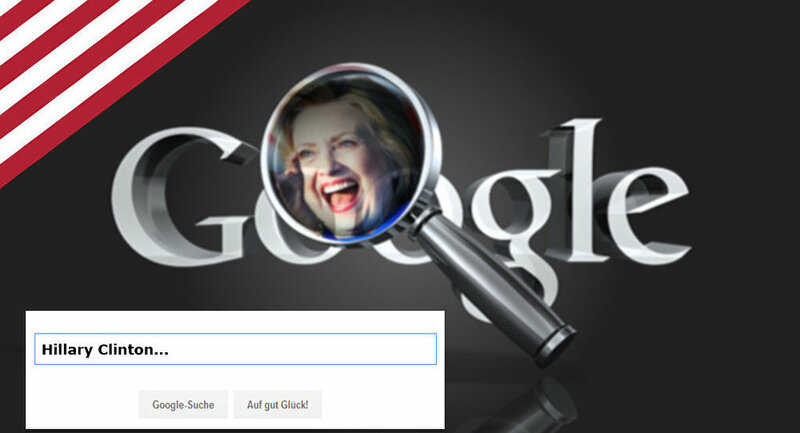 A study revealing that Google’s search suggestions are biased in favor of US Democratic presidential nominee Hillary Clinton only hints at the candidate’s close ties to giant US tech companies and Wall Street, analysts told Sputnik. WASHINGTON (Sputnik) – "According to OpenSecrets.org, the number one recipient of lobbying cash from Google in 2014 … was the Podesta Group, of course founded by John Podesta, who is now chairman of the Clinton campaign," said Sam Husseini, founder of the Washington, DC-based advocacy group VotePact. As Sputnik reported on Monday, research psychologist Robert Epstein of the American Institute for Behavioral Research and Technology estimates in a new study that Clinton-friendly suggestions Google provides in response to users’ search queries could shift as many as 3 million votes in the November US presidential election. Husseini said the US tech industry’s growth has fueled in part by the expansion of the national security state in the 15 years since the September 11, 2001 terror attacks. "Part of the dynamics of this is also driven by the surveillance state," he explained. "In many respects, tech firms like Google are becoming more powerful than old-style Wall Street financial firms." The rising power of the tech giants, and their links to the US national security establishment (also called the "deep state"), pose a growing threat to democracy, warned Husseini, who is also communications director of the Institute for Public Accuracy. He said evidence such as that uncovered in Epstein’s study should spur Americans "to realize we need meaningful alternatives for our flow of information that foster democratic principles." The tech billionaires of California’s Silicon Valley have put lots of money and support behind Clinton in her presidential bid, Husseini pointed out. "Silicon Valley has been a huge backer of corporate Democrats like Hillary Clinton as well as [of] President [Barack] Obama. He said Eric Schmidt, chairman of Google’s parent company, Alphabet; the Department of Defense; and Clinton’s campaign have ties that are "fairly well known." Ivan Eland, director of the California-based Independent Institute’s Center on Peace and Liberty, said that in the US system, there are no legal constraints on whom Google’s owners may support in an election. "Google is a private company and can do whatever it wants," he said. In addition, Google users concerned that the company, through its powerful search engine, has shown unfair bias toward one presidential nominee can always turn to rivals’ products for scouring the internet, Eland stated. "The market economy does provide alternatives," he added. "If some people want to switch to protest, the market allows them to do that, too." In their study, Epstein and his research team argued that Google’s manipulation of search suggestions could threaten democracy.